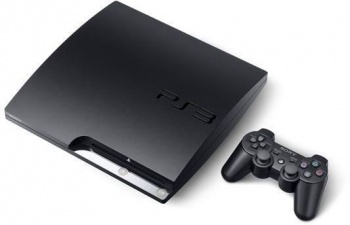 The platform holder is stepping up its efforts to tackle PS3 piracy by kicking hackers off its networks. All choices have their consequences, and hacking a PS3 is no different. But Sony is now starting to pile on the repercussions, annnouncing that it will permanently ban the PSN and Qriocity accounts of anyone it detects using pirated or hacked software. In a statement, Sony said that using unauthorized circumvention devices on the PS3 was a violation of the terms and conditions of the "System Software License Agreement for the PlayStation 3 System," the "Terms of Services and User Agreement," and the "Community Code of Conduct." This, in turn, invalidated the consumer guarantee for the console. In addition, it said that using pirated software was a breach of international copyright laws. It made it quite clear that using custom firmware or playing pirated games would earn the perpetrator a permanent ban. Exactly how much of an incentive this will be for hackers and pirates to mend their ways is unclear. It will certainly deter some of them, but not all of them by any stretch of the imagination. Of course, this is just one weapon in Sony's battle with the hackers, not a magic wand that will fix the problem in a single stroke. Sony doesn't say when it will start banning people, so anyone who's concerned would be well advised to get their PS3 back on the official line as soon as possible.